So, I finally decided I'm good to go and share my outfit of the day! 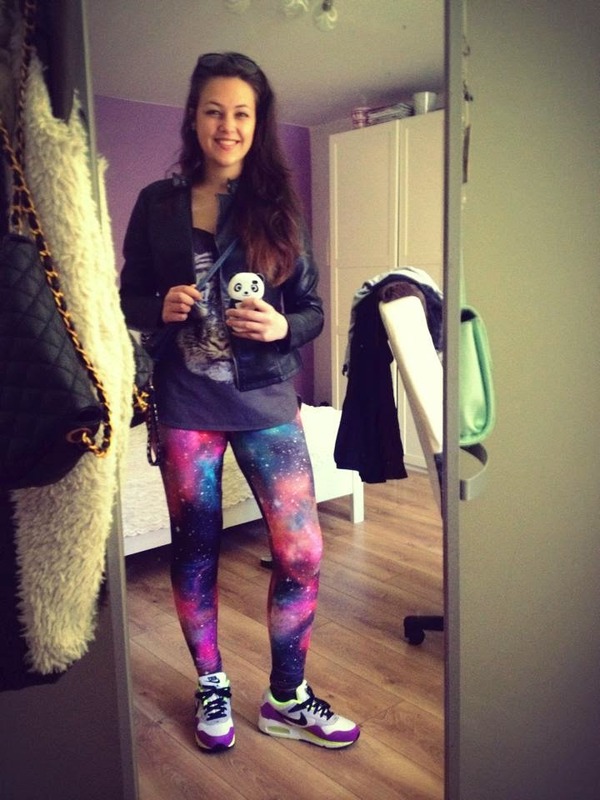 In this case I'm wearing my new sneakers - Nike Airmax, the space leggings are from Tally Weijl, the tank top with a tiger is from ... I can't remember :D (see? I'm terrible at OOTD :D) and the leather jacket is from Stradivarius. :) I just washed my hair so I let it like this :D Such a beauty guru.. NOT! I could also adjust the mirror in different way, not pointing on my mess in my room haha. Whatevz!